Weekends are a sort of ‘meh’ time period – or a ‘ugg’ time period. Things are flat and boring or (lately) they have been a slow bleed into Sunday night. 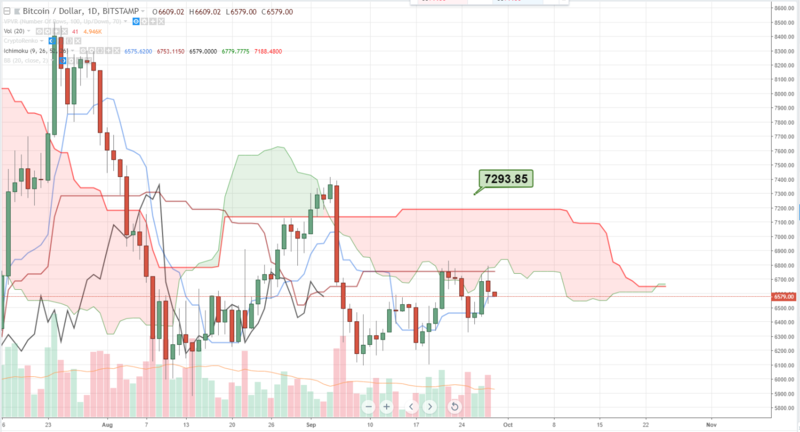 Thankfully, there are a lot of cryptocurrencies sitting in conditions that would be favorable for putting out some limit buy orders on a daily chart with the Ichimoku system. Bitcoin has a pretty easy and identifiable entry @ 7293.85. What is attractive about a limit-entry at this level is that the fulfills all of the most conservative of Ichimoku strategy entries. Additionally, when prices cross and close above the cloud on a daily, prices generally don’t return below – there are significantly fewer swings above and blow the cloud on a daily chart. 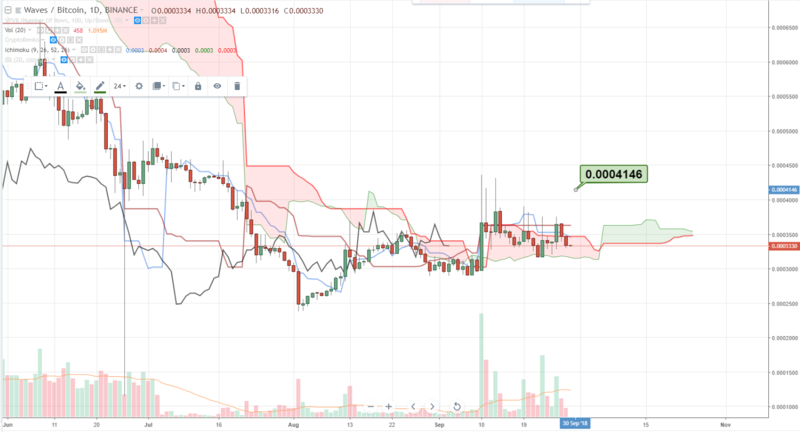 Nano was a really great winner for us back in August, when it and Waltonchain (WTC) had significant bull runs against a broader market sell off. Just like Bitcoin, NANO shows a very easy buy idea. 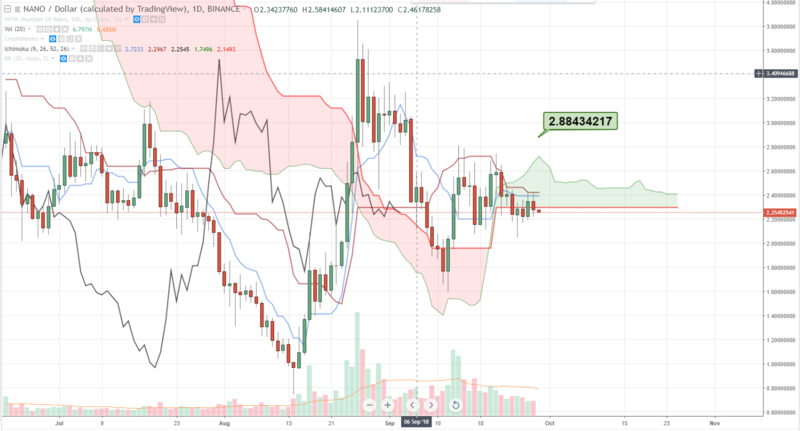 The buy entry provides all the necessary components we need for an entry based on the Ichimoku system: price and lagging span above the cloud, cloud ahead is green and conversion line > base line. Waves is really an undervalued instrument. Fundamentally it’s got a lot going for it, but it’s also surrounded by a lot of big names and other projects. Price action wise, I got a nice trade in on this one this week, but my trailing stop got hit and profit got taken waaaay to early. But it looks like I’ve got another chance at an entry, and it seems like Waves might be one of the better trades we may see here going into October. 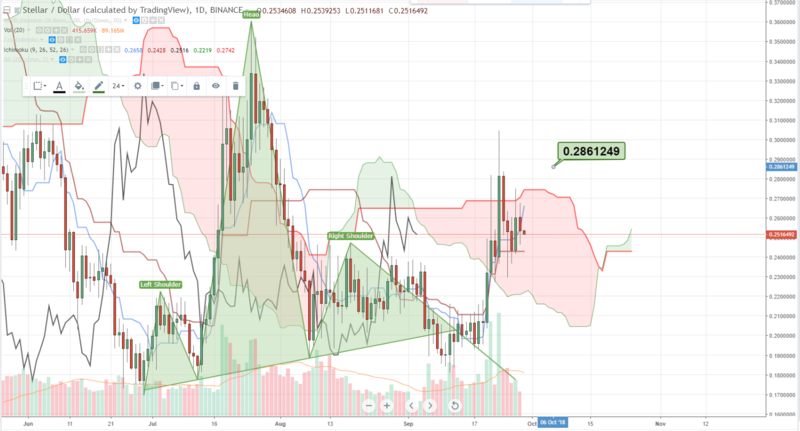 Stellar is not only up over 50% over the past couple weeks, its sitting primo primeo position for a terrific breakout on the daily – and a powerful indication of a long term trend change. Just like all the other charts, the entry would and will fulfill all the entry criteria in the Ichimoku system.